Environment | Psssst! Over Here! Warming crisis? What warming crisis? 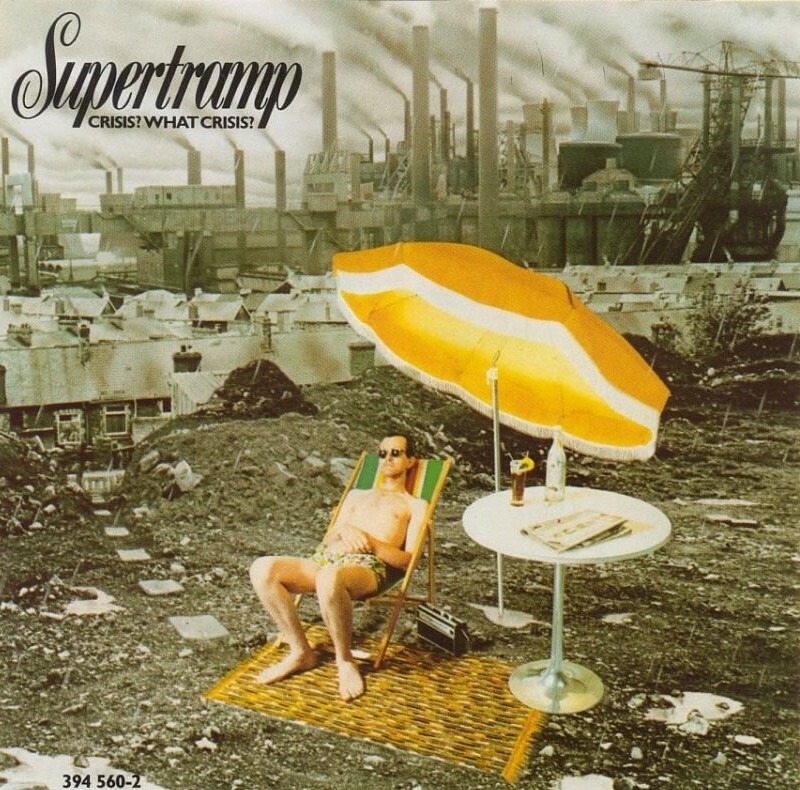 Supertramp’s 1973 album “Crisis? What crisis?” showed some dude – who looks an awful lot like John Cleese of Monty Python fame – in resolute denial of the devastation all around him, pretending everything is OK, chilling out on a beach chair with a cold beverage by his side. The album itself wasn’t too good, but the title and cover art, I always thought, were pretty clever and amusing. But now apparently we need another graphic showing the same dude in resolute denial of the talk about devastation all around him, to represent the fact that despite fears of global warming, the planet has not warmed – at all – since 1997. Say, what line would “climate change deniers” get in to get their reputations back?